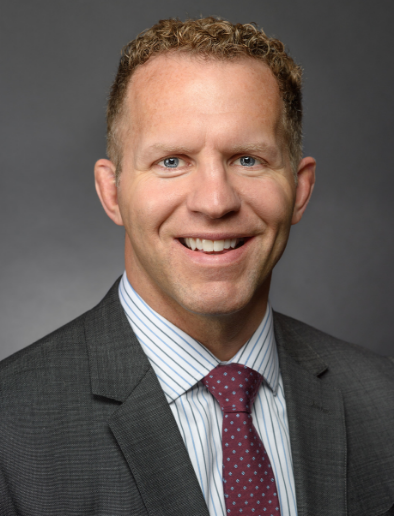 Jason S. Holm, MD, is a fellowship-trained, board certified sports medicine surgeon with a special interest in facilitating the return of all his patients to an active and healthy lifestyle. His specialties include management of sports-related injuries including shoulder, knee, and hip arthroscopy as well as joint preservation. He also specializes in total joint replacement including anterior approach total hip arthroplasty as well as fracture care. Dr. Holm enjoys spending time with his wife and daughters. His interests include overseas missions work, football, wrestling, fishing, skiing, racquetball and golf. Dr. Holm has the honor of providing sports medicine care to younger veterans at the VA Medical Center twice a month. This also provides him with the opportunity to play an active role in educating University of Minnesota orthopedic residents on the latest management of complex sports medicine injuries. Dr. Holm has also provided medical coverage for the US Ski Team, both nationally and internationally, as well as triathlons, marathons and bicycle races. Learn about Dr. Holm’s coverage of the Pan American Championships in Mexico. I’m a 52 year old woman who has spent my entire life working on my feet. Either as a restaurant server, to manager and most recently a freelance makeup artist. So it wasn’t surprising that I started having knee pain years ago. I tried the usual; massage, ice, heat, tons of Advil, glucosamine & chondroitin. Finally I knew it was time to have an orthopedic surgeon take a look at them. After having X-rays done, my worse fear came true. I was bone on bone in both knees. I had outlived my knees. I was very shook up. I decided to try cortisone shots and after the first time I felt like a new woman. I thought, “ok I can do this. Yes I have to have surgery, but I can put it off for awhile”, well the 3 months went by and my knees were feeling bad again so I went in for another cortisone shot. This time, nothing! It didn’t help at all. I met with Dr. Holm and confirmed I would need surgery. After speaking to him for a bit, I knew he was the doctor I wanted to do my surgery. I liked his upbeat attitude and his overall confidence. I cannot express my gratitude enough in Dr. Holm. After listening to a few well-meaning friends, I took my husband with me to see Dr. Holm again. I needed my husband to help me understand that all options were off the table, and that if I wanted the quality of life I had been missing I would have to do the bilateral knee replacement. Dr. Holm was very patient and kind to once again explain what the surgery would entail. So October 11, 2016 I was admitted to Fairview Ridges hospital for my surgery. I was a basket case. Every single person I came into contact with was exemplary! They alleviated all the stress and fear that I was feeling. The surgery went extremely well. Dr. Holm confirmed that my knees were a mess! So after 4 nights at Ridges (where my nurses and PT personnel were fantastic!) I was sent home. I am so pleased to announce that I am recovering quickly. It’s been 24 days and I am walking without a walker. Going up and down stairs (slowly), but never in my wildest dreams did I think I’d be where I am right now. I cannot express my absolute gratitude to Dr. Jason Holm, his PA Jamie & care coordinator Kelly! They have been there for every question, concern that I have had. I highly recommend that anyone considering surgery that they choose Dr. Holm and his team! So thank you once again, Dr. Holm, Jamie, and Kelly! You truly are the best! Dr. Holm performed surgery after I broke my wrist. The surgery was very successful, but more importantly, the care he provided post-surgery was outstanding. He helped me understand the healing process and explained the expectations for rehabilitation and getting back my range of motion. I had several questions, and he was always willing to provide detailed answers. The most important thing is he truly cares about his patients and is a very compassionate physician. I feel very fortunate to have found an excellent Orthopedic physician who provides exceptional patient care. Thank you, Dr. Holm! You made the experience of breaking my first bone a wonderful one. Also, your care team did an excellent job supporting me during my recovery. Please let them know their commitment to patient care is excellent and I truly appreciated their help.